I was approached with a question some time ago. I was asked somewhat matter-of-factly: How would you define the term “soul mate?” After giving it some assiduous consideration, I decided that it was something that should not be addressed in one single statement. It was a topic deserving of my time and energy. So I have endeavored to bring lucidity to the term soul mate. This term, with its simplistic, yet profound essence has been tossed about in the arena of commonality far too long. It has been falsely applied and erroneously conceptualized through the ambiguous lens of secular paradigms. 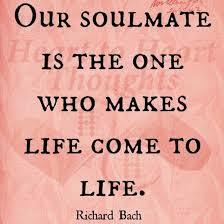 Soul mate, to most, is a term of relative meaning. To each individual, this term carries a different weight and connotes a different adumbration or meaning. To apprehend a general understanding and description of a soul mate, one must first have at least a minimal perspicacity of the soul. Meriam-Webster defines the soul as the animating and vital principle in the human being, credited with the faculties of thought, action, and emotion; the spiritual nature of the human being. In light of this succinct definition and description of the soul, we must first conclude that a soul mate is someone whose soul is intrinsically compatible with the soul of another — distinctly different than personality-compatibility. By this, I mean that without forced effort or dissipated personality, a person’s soul merges with that of another. In effect, at the point of physical consummation the two merge into one (Gen. 2:24), however, this merger emanates in the centrality of their being, their soul. 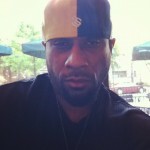 Notice, not once have I stated or implied that a soul mate is perfect or even meets some cultural standard or ideology. A person is connected to their soul mate emotionally, intellectually, and physically and they are unified in purpose and direction. A soul mate is that person you wake up to in the morning, and as you gaze into their eyes you see God’s love for you in the intricate details of their facial features; knowing that He created that person solely and specifically for you. Because a soul mate exists in hypostatic union with one’s self, there are no fallacious desires to harm or deceive. Because two have ultimately become one, there can be no hostile action taken in relation to one’s soul mate. A soul mate is God’s greatest expression of his Love and Providence. After years of observation, I also believe that a soul mate is self-authenticating and self-identifying. What I mean by this is that when you meet your soul mate you can sense something is different than any other time or any other person. They seem to settle your spirit, even at a distance. They know the words to speak and when to simply listen. They seem to have an internal affinity for your core identity. You are connected for beyond what external perception is capable of perceiving. people finding their soul mate is erroneous expectations. 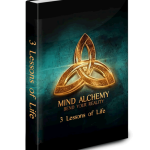 They have allowed the world to tell them what they should expect instead allow the soul spirit that is within to detect the unity, respect, honor, and integrity that lies at the very core of what stands before them. 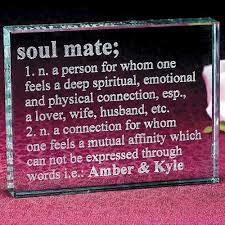 Tagged soul mate, soul mate defined.